Love King of Fighters XIII, but hate the game's online lag? Help is on the way. 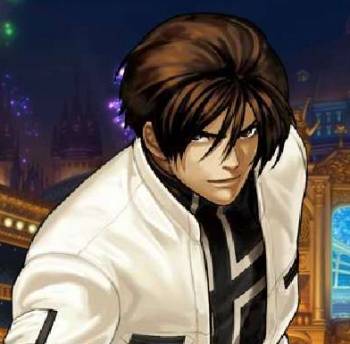 Though the recent King of Fighters XIII was a welcome return to form for SNK Playmore after the disappointing KoFXII, the game has drawn criticism for poor network code that has left many would-be virtual pugilists lagging behind their prospective foes. According to an email issued yesterday by KoFXIII publisher Atlus however, that may soon be a thing of the past. ... the patch will seek to make the game's network infrastructure more consistent for users, ensuring that the evaluation given connections is more accurate to the actual play experience. Additionally, Atlus claims the patch will add "ranked host-side filtering," a mechanism that allows players hosting online matches to avoid players with poor connections. As of now the company has no solid release date for the upcoming patch, though it claims that SNK Playmore is "making every effort to release the patch as soon as possible." PlayStation 3 gamers, consider the above to be a bit of sugar as you attempt to choke down the following bitter medicine. The planned DLC release of classic NESTS-era Kyo Kusanagi has been delayed. Originally this old-school iteration of the fan-favorite fighter was scheduled to deploy today, but due to "a technical error" the add-on has been pushed back to January 10. As a bit of a mea culpa, once "NESTS Kyo" hits the PlayStation Network Store Atlus has vowed to temporarily reduce the price for the DLC to $3. Xbox 360 owners remain unaffected by this error and can download the character right this very minute at the standard $5 price point. All that and not a single mention of Mai Shiranui's breasts? C'mon Atlus, I have a largely male 18 to 34-year-old demographic to appease! What, you think they come here for that contrarian British dude?